The M2M PRIVATE PORTAL displays all information on a dealers devices only. You can search by serial number or display all of them at once. 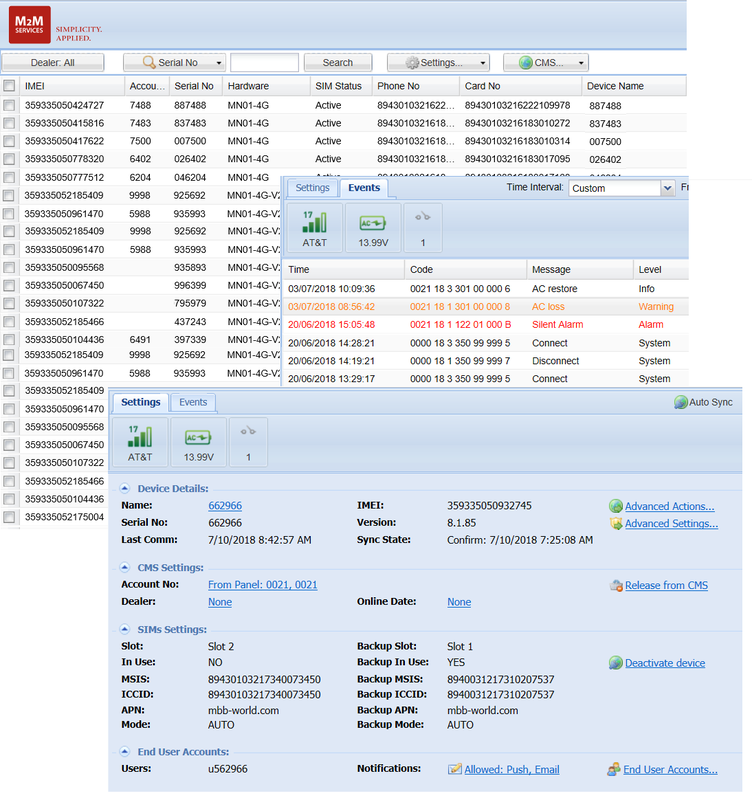 This portal allows the Dealer much more access than the FREE portal to review the M2M devices programming and connection data. Your company logo will be displayed on the customers smart phone APP at all times.